Soft-boiled eggs may be one of the more iconic (and photogenic) toppings to come from the world of fancy noodle bowls, but crafting the perfectly Instagram-able jammy egg can be a tricky business. 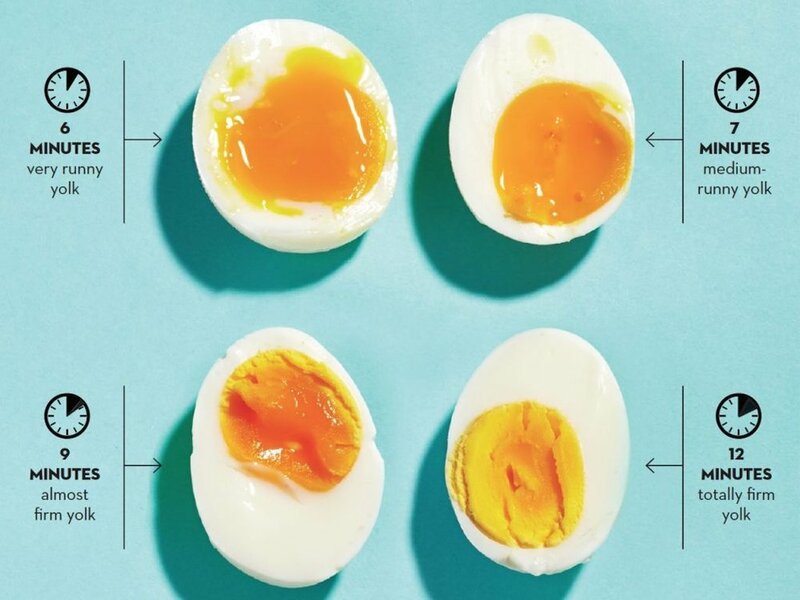 To help cut out the hassle, we’ve put together a foolproof guide to perfect soft-boiled eggs for your at-home ramen masterpieces. Bring a pot of water to a boil. There should be enough water in the pot to cover the eggs by about an inch once you put them in. When the water has reached a boil, reduce heat to low and use a slotted spoon to carefully slide eggs one at a time into the water. This will prevent the eggs from getting jostled and cracking. 7 minutes - makes a yolk that is jammy & soft (but firm enough to stay together) and solid whites. Perfect for noodle bowls! Meanwhile, prepare an ice bath to cool the eggs as soon as they are done. This will stop the cooking process and ensure your eggs reach their desired consistency. After the eggs have cooled, just peel, slice in half, and place on top of your otherwise-assembled ramen bowl. Add a pinch of black sesame seeds, and bask in the glory of your creation. Leftover cooked eggs will stay good in the fridge for up to one week. 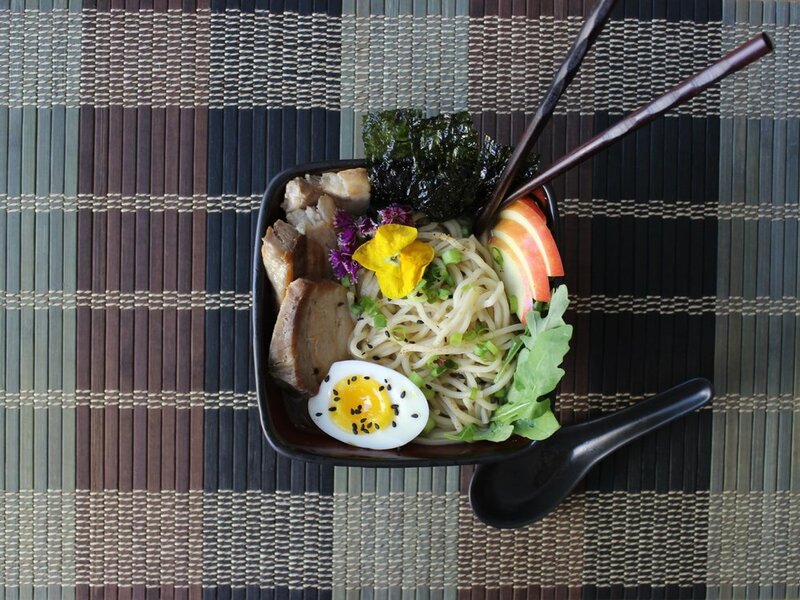 Miso Veggie Ramen Kit prepared with soft-boiled egg, black sesame seeds, pan-fried pork, nori, apples, arugula, green onions, and edible flowers to garnish. Need some more ramen-spiration for other toppings? Check out this list of our favorite add-ins.